It is often said that breakfast is the most important meal of the day, and with hotels serving up some delectable dishes first thing in the morning, your clients—foodies and non-foodies alike—will want to start their day munching on these offerings. 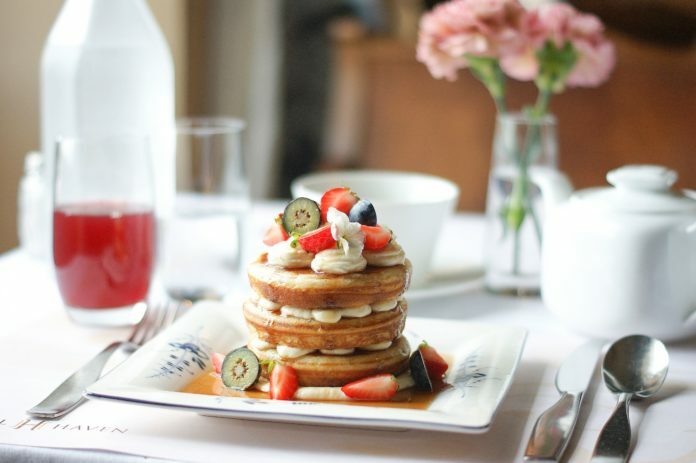 In honor of the upcoming National Pancake Day (March 12), we’re rounding up some of the most unique and drool-worthy pancakes served at Small Luxury Hotels around the world. 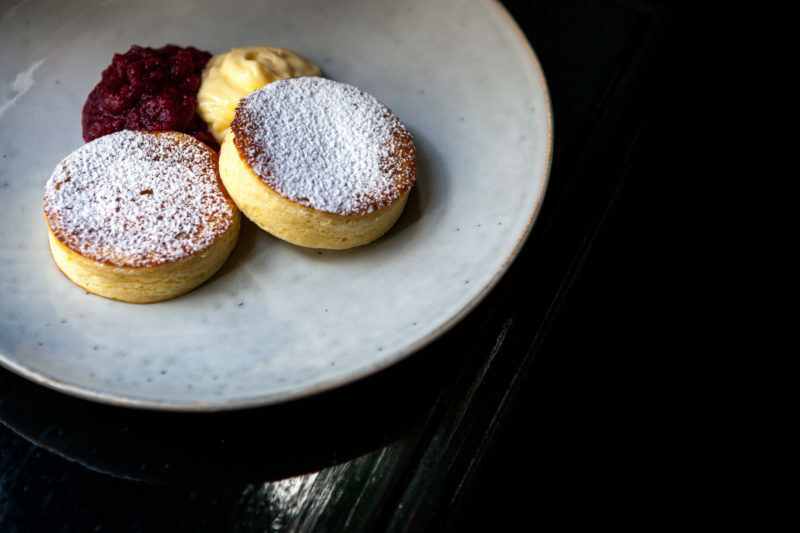 Located on Keizersgracht, one of Amsterdam’s most prestigious canals, The Dylan Amsterdam serves pancakes that have the same thick edges as Dutch pancakes but the fluffiness of American pancakes. Available at the hotel’s Bar Brasserie Occo, these sweet treats are dusted with sugar before being garnished with a choice of toppings ranging from bananas and blueberries to caramelized bacon. Other tempting items on the restaurant’s breakfast menu include the avocado sandwich with pink pepper and a poached egg, the coconut porridge, and the Miso soup with roasted fresh salmon and pickles. Room rates at The Dylan Amsterdam start at $245 per night. For more information, visit dylanamsterdam.com. 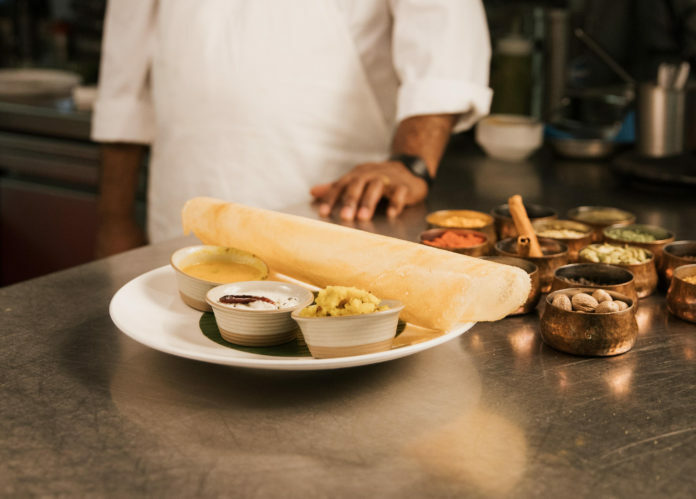 Combining traditional Indian cooking with culinary concepts from all over the Subcontinent, The LaLiT London in Tower Bridge serves a savory Dosa pancake for breakfast with fermented rice flour batter, lentils and fenugreek seeds. Available at the hotel’s Baluchi restaurant, the pancake can be rolled or folded into a triangle before being dipped in warm coconut chutney with green chili. 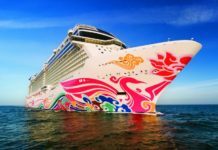 Nightly rates at $257. For more information, visit thelalit.com. Known for its prime lakefront location in the heart of Queenstown, New Zealand, Eichardt’s Private Hotel also draws visitors in with its tasty dining options. 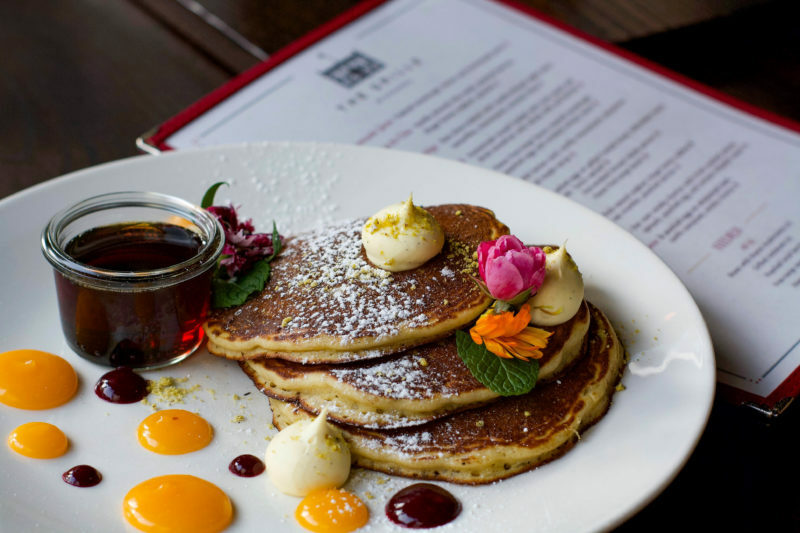 For breakfast, guests can head to the Eichardt’s Bar to order a plate of homemade buttermilk pancakes served with thick and creamy vanilla mascarpone, lemon curd and crushed pistachios for a little crunch. Complete with inviting sofas and cozy fireplaces, Eichardt’s bar provides a stylish environment for sampling other unique creations such as smashed edamame and poached eggs, spicy chorizo hash, and apple porridge with coconut chips. Rates at this property start at $758 per night including breakfast. 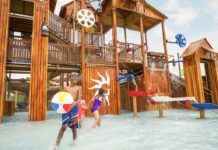 For more information, visit eichardts.com. Located in the bustling unofficial capital of Northern Thailand, Akyra Manor Chiang Mai’s onsite Italics restaurant blends Thai and Italian cuisines in the dishes throughout its menu, and breakfast is no exception with its Nutella banana roti pancake. Traditionally, the roti is made of pressed and rolled dough cooked on a hot griddle with butter and oil then served with various toppings and fillings such as condensed milk. 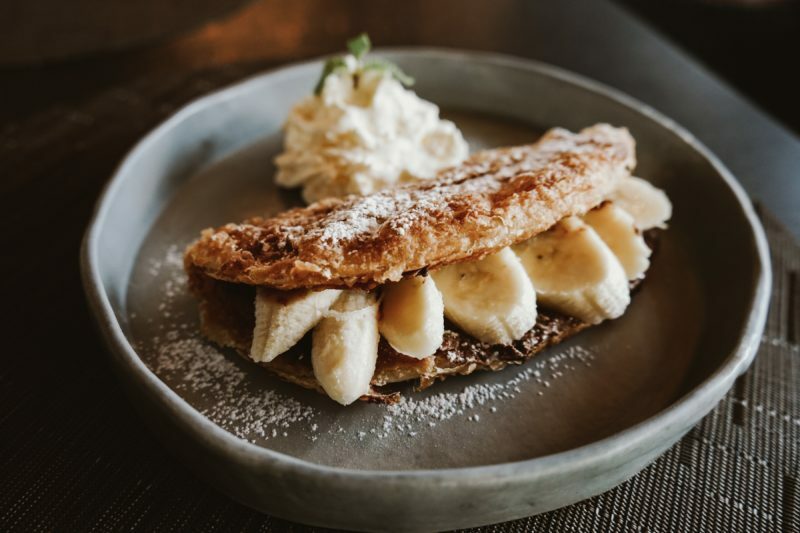 In the Akyra Manor take on this dish, the roti is filled with fresh bananas and a thick layer of Nutella. Other items on the breakfast menu include sauteed Italian sausages with gorgonzola cheese and potato, the pan-fried roti with fried egg and beef massamann curry; plus a waffle with coconut caramel and ice cream. Rates at this property start at $187 per night. 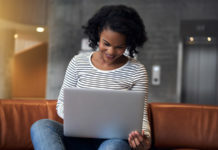 For more information, visit theakyra.com. Set in the Sundmans’ building—the second oldest stone building in Helsinki—breakfast at Hotel Haven is as elegant as its historical setting. For a sweet start to their day, visitors can opt for a trio of buttermilk pancakes that come glued together with mascarpone mousse. A cross between a choux pastry and a stack of pancakes, this creation is lathered in maple syrup and topped with fresh berries. 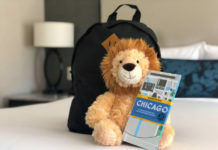 Nightly rates at Hotel Haven start at $148. For more information, visit hotelhaven.fi/en. For more foodie fun, click here.